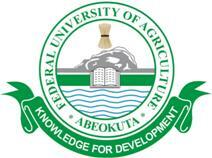 Federal University of Agriculture, Abeokuta (FUNAAB) Hostel Accommodation Portal Fees, Registration Guidelines for Fresh Undergraduates and Postgraduate Students for 2018/2019 Academic Session. FUNAAB hostel accommodation portal will open on Wednesday, 10th April, 2019 (11.00am) for interested Fresh students. Allocation of bed-spaces is strictly on first-come, first-serve basis. NOTE: Fees are exclusive of Transaction charges. Stage A (Expression of Interest): by inputting your Matriculation number (Post-Graduate and Returning Undergraduate Students) or JAMB Registration Number (Fresh students) along with your contact details, an Hostel Application Invoice is generated. Print the Invoice and proceed to any bank accepting REMITA including FUNAB Microfinance Bank with your prescribed fees Invoice for payment or pay online using debit card or Internet Banking. Payment of this Invoice is non-refundable and qualifies you for the next stage. NOTE: Payment of School Fee is a pre-requisite for all applicants. Additionally, Post-Graduate Students are expected to have registered for the session. Stage B (Reservation/Booking): Login to place a reservation for accommodation in any hostel of your choice subject to availability of bed-spaces for your status per time. An Hostel Fee Invoice is generated when a reservation is successfully made. Print the invoice and bring to the Bursary within a maximum of 5 days or as reflected on the invoice, failing which your reservation is cancelled and your application revoked. To make a fresh reservation, you will need to generate a new Hostel Application Invoice. Stage C (Allocation of Bed-spaces): By paying the Hostel Fee Invoice within the grace period, a Room is automatically allocated to you. Login again to check the room allocated to you and print the Bed-space Allocation Form. NOTE: You can only make reservation for an hostel, Rooms and Bed-spaces will be automatically allocated. Successful allottee should please endeavor to convert their bank tellers to receipts at the Bursary Unit and complete hostel registration forms at their allocated Hostels.